Every now and then if you look up an online trucker forums, you will come across questions from new flatbed drivers asking whether headache racks and bulkheads are required by law. The questions are reasonable given the rules instituted by the Federal Motor Carrier Safety Administration (FMCSA) to regulate cargo control. Thankfully, the questions are easy to answer. 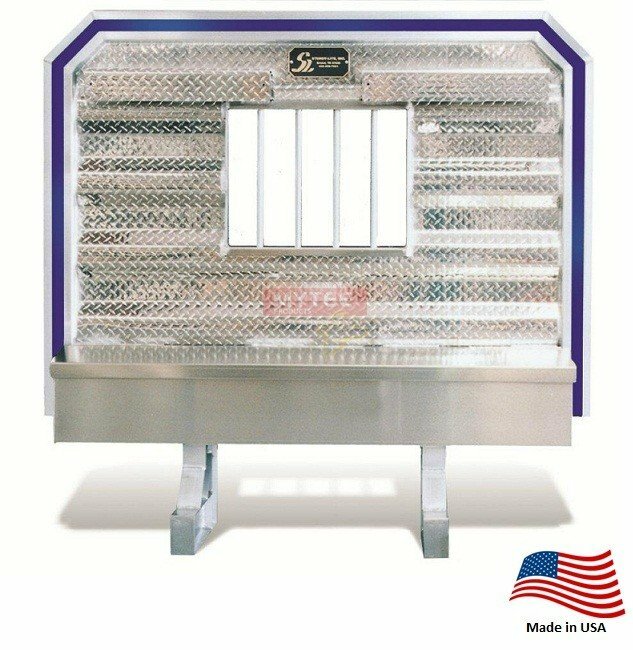 Headache racks and bulkheads are not required by federal regulations. However, using them is still smart as it protects cargo and prevents damage. If a truck owner has the opportunity to install one or both without causing major inconvenience or financial stress, it would not make sense to decline said opportunity. A quick perusal of the FMCSA Driver’s Handbook makes it clear that truck drivers are required by law to make sure cargo is properly secured. This includes doing whatever is necessary to prevent forward movement. In a flatbed situation, that means making sure that either tie-downs or some sort of barrier is in place to prevent cargo from moving forward on the trailer. The handbook includes numerous illustrations along with hard numbers demonstrating what the law requires. It shows the difference between preventing forward movement with a bulkhead and doing it just with tiedown straps instead. The important thing to know is that the law requires a certain number of tie-downs, based on the length and weight of the cargo, if no bulkhead or headache rack is in place. Drivers also have to pay attention to the working load limits (WLLs) of their tiedown straps. These limits are part of the calculation necessary to determine the number of tie-downs necessary to prevent forward movement of cargo. Too few tie-downs equal a violation. Although federal law does not mandate the use of headache racks or bulkheads, there are some shippers who are particular about their usage. Two good examples are rail and pipe loads. A shipper may insist that an owner-operator utilize a bulkhead just for an extra measure of safety. Such requests do not seem unreasonable for certain kinds of cargo. A contained, rectangular load is fairly easy to secure against forward movement with straps over the top and around the front. But it is not so easy for a load of pipe. And whether or not a truck driver agrees, shippers insisting on bulkheads are not going to release a load until they are confident it will be secure during transport. From our perspective, insisting on a bulkhead or headache rack for certain kinds of loads is no different than shippers insisting that tarps be used. Their main priority is to protect cargo and limit liability. Preventing forward movement via a bulkhead or headache rack may be the best way to do it in their eyes. Given the federal mandates for securing cargo and the fact that some shippers insist on bulkheads or headache racks, it just makes sense to install one or both on your equipment. You will be pleased to know that Mytee Products has everything you need. We carry both headache racks and bulkheads, along with the appropriate mounting systems. Headache racks and bulkheads may not be required by law, but it’s still smart to use them. Both prevent forward movement of cargo and protect you as the driver. Both represent an affordable way to protect yourself as well as your investment in your equipment. After all, it doesn’t take much to cause a big problem. Just a little bit of forward movement could cause you a big headache you don’t really want. You have landed on the Mytee Products website in your search for a good pair of trailer loading ramps. That’s great. We can get you hooked up not only with the ramps, but also all the other equipment and supplies you need to be a safe and successful flatbed trucker. Having said that, note that not all loading ramps are equal. There are multiple manufacturers you can look to for quality ramps. There are also multiple designs to choose from. We recommend giving careful consideration to exactly what you need before you buy. Below are a few suggestions to help you get started. 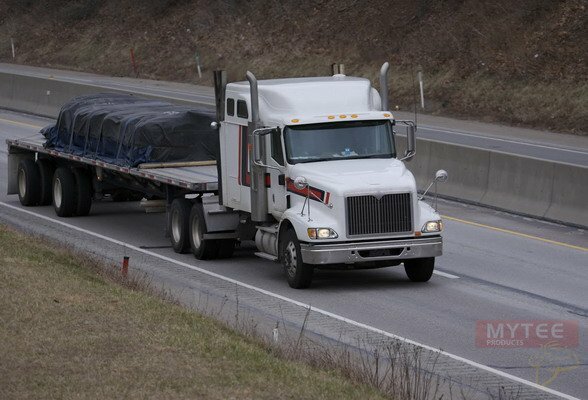 Like everything else in flatbed trucking, you have to consider the kinds of loads you typically carry in relation to the loading ramps you need. Loads with heavier axle weights are going to require larger loading ramps with higher ratings. If you routinely haul the heaviest construction equipment, then you are going to need some pretty heavy-duty ramps. The thing to keep in mind here is that loading ramps can be quite heavy. It is not unusual for a single heavy-duty ramp to be upwards of 100 pounds. If you don’t routinely carry loads requiring the monsters, you might be better off with lighter ramps that are easier to handle. Flatbed truckers who use their loading ramps regularly – think construction equipment haulers here – are likely to keep them on board. The question is, where? How you intend to store your ramps may be a factor in the actual ramps you choose. There are drivers who store their ramps on the upper deck. They may have to move them from time to time to accommodate other loads, but they find that upper deck storage makes for easier deployment. On the other hand, other drivers store them underneath using brackets mounted to the trailer. Different styles of trailers can indicate different uses for loading ramps. Are you hauling with a straight flatbed, or are you more likely to use a step-deck with your loading ramps? In a step deck scenario, you may need to use the ramps both to get the load onto the trailer and then to move it from one step to the next. You have to have loading ramps that work both ways. We realize that price plays a role in the choices truck drivers make. We do not expect you to buy loading ramps you cannot afford. As such, your available budget is something else you have to think about. But think about it in both the short and long terms. For example, you might be looking at just a set of ramps right now. But will your needs change in the future? It might be more cost-effective in the long run to purchase an entire loading ramp kit that includes ramps, mounting brackets, a ramp dolly, and everything else you need. The initial outlay will be more, but you will spend less by buying everything in a kit now rather than trying to piecemeal it down the road. Mytee Products as a full selection of trailer loading ramps and supplies ready for purchase. We invite you to take a look at our complete inventory before you buy. We offer everything from loading ramps to truck tires and tarps and straps. Anything you might need as a flatbed truck driver is probably in our inventory. And if not, ask us about it. We will see what we can do.